Shell works with environmental organisations to understand how to protect areas that are rich in biodiversity and contribute to the well-being of communities where we operate. These organisations bring specialist expertise to our projects, while at the same time advancing their own knowledge by working with us. Together, we share our scientific and conservation knowledge with industry and environmental stakeholders. Since 1999, we have worked with the International Union for Conservation of Nature (IUCN) on biodiversity policy and projects, including in Nigeria, Russia and Iraq. IUCN has also facilitated two independent scientific and technical advisory panels to help us mitigate environmental impacts. In 2018, the IUCN published the report IUCN Niger Delta Panel: Stories of Influence. The report documents the achievements of the independent panel, which was set up at the request of Shell Petroleum Development Company of Nigeria Limited (SPDC) to enhance remediation techniques and protect biodiversity at sites affected by oil spills in its areas of operation in the Niger Delta. IUCN also published a panel report, Developing a biodiversity conservation strategy for the Niger Delta: Integrating biodiversity considerations into SPDC’s operation, in 2018. While the panel’s formal work ended in 2016, their recommendations continue to inform the current work of SPDC. SPDC and IUCN have continued to collaborate and in 2018, the Niger Delta Biodiversity Technical Advisory Group was formed, consisting of representatives from the Nigerian Conservation Foundation, IUCN and Wetlands International, to assess the efficacy of SPDC’s revised remediation standard and to monitor biodiversity recovery at remediated sites. 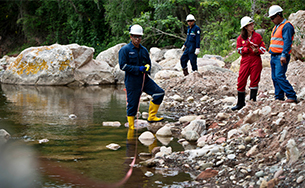 Together with Wetlands International, Brunei Shell Petroleum Sendirian Berhad, a joint venture (Shell interest 50%) with the Brunei government, delivered a project in Brunei in May 2018 to restore local habitats and prevent erosion. In the peat swamp forest of Jalan Badas, an area of around 300 square kilometres, we constructed peat blocks at intervals along a seven-kilometre canal and planted vegetation to prevent erosion. The aim is to raise the water table to protect the peat from decomposing, and as a result, conserve the habitat for a diversity of species. We continue to monitor the restoration and the water table in the area. 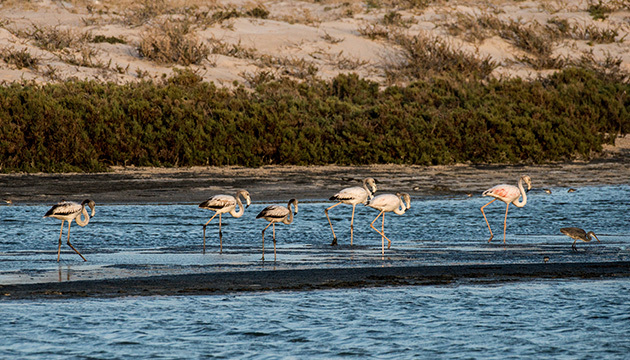 Shell Development Oman worked with Wetlands International to support the first full spring bird migration count of the Wetlands Reserve in Al Wusta Governorate, which includes the Barr Al Hikman peninsula. The survey was carried out in partnership with the Ministry of Environment and Climate Affairs. Results showed that more than 300,000 birds of about 80 different species made the intertidal wetland on the coast of Oman their home for resting and feeding during their annual migration. The spring migration bird count at the Wetlands Reserve in Oman. We continue to partner with Earthwatch through Project Better World, an employee volunteer scheme that enables Shell employees to make a meaningful contribution to global science and conservation. The programme, which gives employees a more strategic and informed understanding of sustainability, celebrated its 20th anniversary in 2018. In 2018, 84 Shell employees from 20 countries took part in Earthwatch expeditions to South Africa, Canada, the UK and the USA, which included a learning programme to hone their sustainability leadership skills. Over the past 20 years, more than 1,000 programme participants have contributed more than 53,000 work hours to environmental research. Through the Earth Skills Network programme, Earthwatch continues to help Shell employees build leadership skills by enabling them to take on a mentoring role in IUCN or UNESCO protected areas. We supported an additional six protected areas in 2018, bringing the total to 57 since 2009. In 2018, we included Batiyura National Park, our first park in Nigeria. Read more about our partnership with Earthwatch at www.shell.com/earthwatch. We work with The Nature Conservancy to better understand how investing in natural climate solutions can help address the global climate challenge. This includes exploring how nature-based projects, such as large-scale reforestation, can reduce CO2 levels in the atmosphere while improving the livelihoods of local communities and preserving biodiversity and wildlife (see Nature-based solutions). Shell partners with Earthwatch to offer employees the chance to participate in environmental research and conservation projects. "2018 marked the 20th anniversary of our partnership with Shell. In that time, we have built an integrated model of employee engagement, environmental science and community-based conservation initiatives. We have worked together to build Shell’s capacity and knowledge around key sustainability themes, while creating a positive impact on the environment and communities. 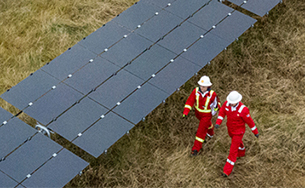 Shell can play a significant role in supporting the energy sector, and wider sectors, to transition to a sustainable future. 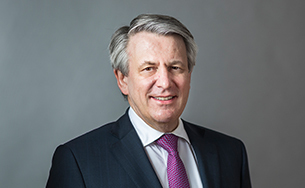 While we recognise Shell has taken some important steps so far, more urgent action is required and we strongly encourage the company to set more ambitious targets to support a global transition to cleaner energy solutions."